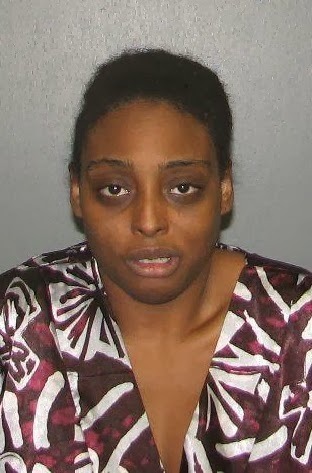 On Oct 24, 2013 @ 01:30 am Absecon Police and Egg Harbor Township Police received a Crime Stoppers tip that Aquia Perez was staying at the Comfort Inn Hotel-539 Absecon Blvd in Absecon. Perez is accused of stabbing her girlfriend, Yvette Bridgett, 48, in the head on Sun, Oct. 20th during a domestic dispute in Egg Harbor Township. Officer's responded to the Hotel and she was arrested for Aggravated Assault and later turned over to Egg Harbor Township. Municipal Court Judge H. R. Switzer set bail at $15,000.00 full. Perez was lodged in the Atlantic County Justice Facility.